I mentioned the other day that Kent Hadley was a significant player who was left out of not only the recent Hawks 80th Anniversary set by BBM but also their 70th and 75th Anniversary sets for the team as well. It turns out that Hadley actually has never had a modern Japanese baseball card at all - he's never shown up in any BBM or Epoch card set as far as I can tell. 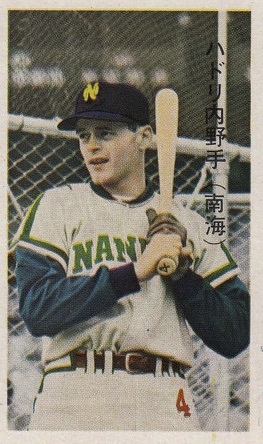 Hadley had played professionally in the Detroit Tigers organization and in the majors with the Kansas City A's and New York Yankees before signing with the Nankai Hawks in 1962. (Most notably he was included in the trade that sent Roger Maris from Kansas City to New York.) He made a splash in his debut with the Hawks as he became the fourth player and first foreigner to homer in his first at bat in NPB. He spent six seasons with the Hawks, hitting .260 with 131 home runs and 396 RBIs. His best season was 1963 when he hit .295 with 30 home runs and 84 RBIs and became the first foreign player elected to start in the All Star game. 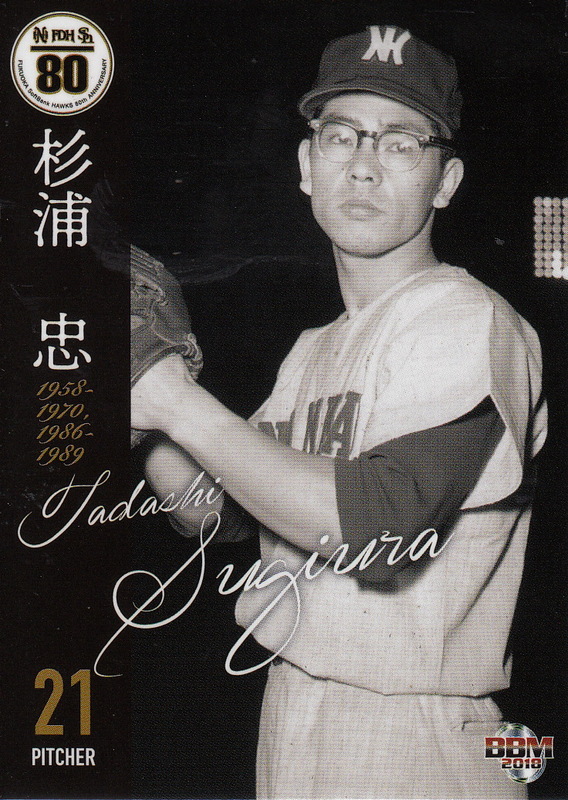 He helped the Hawks win the 1964 Nippon Series over the Hanshin Tigers with a walk-off home run to win Game Four. Amazingly he had a second walk-off Nippon Series home run when his two run shot beat the Yomiuri Giants in Game Five of the 1966 Series. 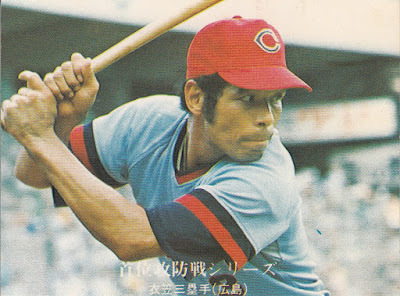 He was the first foreign player to hit over 100 home runs in Japan. 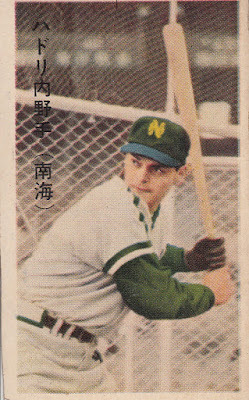 Nankai released him after the 1967 season and he retired from baseball. He spent the rest of his life running an insurance business in his hometown of Pocatello, Idaho. He passed away in 2005. I used SABR's biography of Hadley as a resource for this post - it's a really detailed portrait of him and well worth a read. Katsuya Nomura of the Lotte Orions? *Actually that's not quite right. His professional career lasted 27 seasons - from 1954 to 1980. 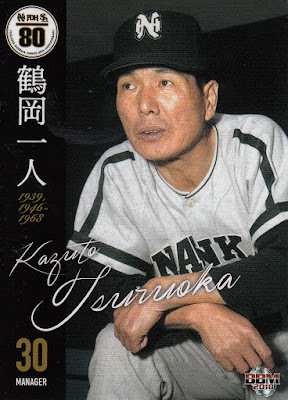 But he spent the entire 1955 season with the Nankai Hawks' farm team. So he "only" played 26 seasons at the ichi-gun level. There are a lot of baseball cards of Nomura as a Nankai Hawk. There are a fair number of baseball cards of Nomura as a Seibu Lion. But are there any of him as Lotte Orion? Until a couple weeks ago, I would have said there weren't. There are a number of factors that contributed to there not being any cards of Nomura with Lotte. 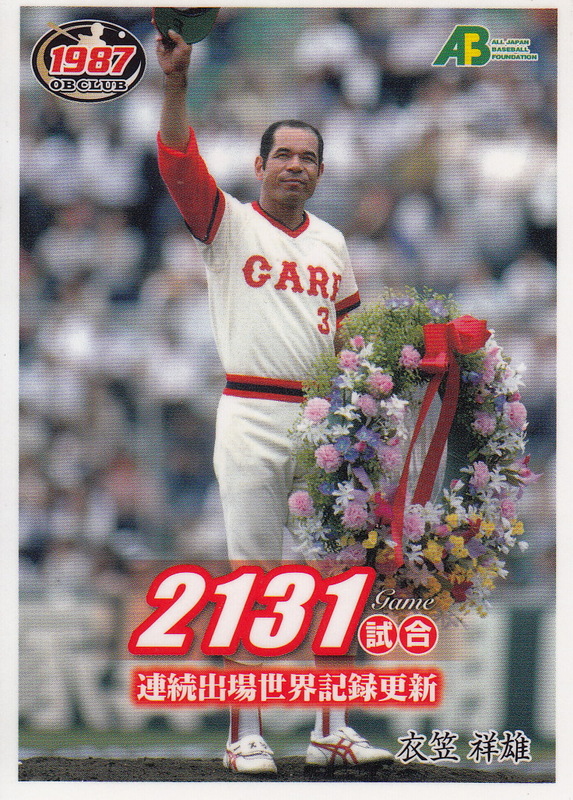 The biggest is that Calbee, who was the main manufacturer of baseball cards in 1978, did almost no cards of Lotte players until 1985 because Lotte was a competitor of theirs in the snack food market. 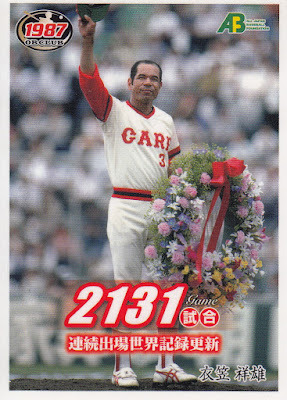 So there was no Calbee card of him in 1978. NST did a large set but it was all Giants players so no NST card. 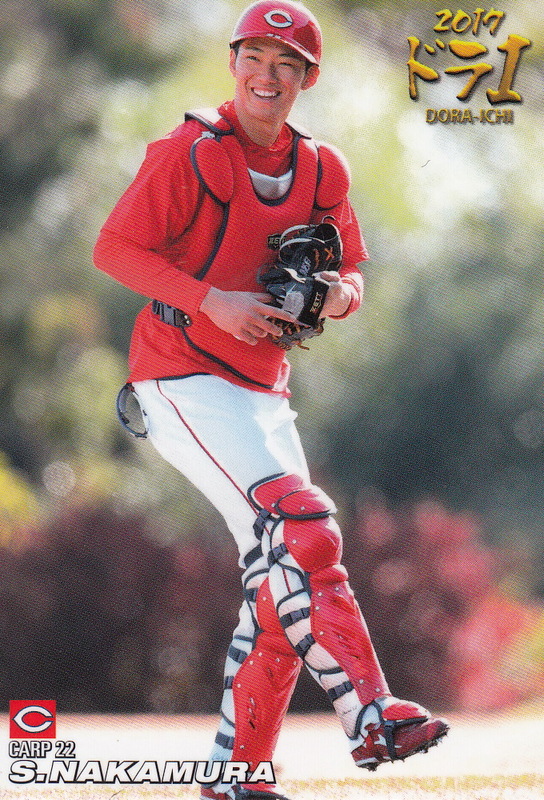 Yamakatsu had several card sets that year but I believed that for some reason they never had a card of Nomura in any of their sets so I didn't think there was a card of him from that year. And none of the OB sets that BBM has done over the years has included a card of him with the Orions. The one that would have made the most sense to include him - the 2008 Lotte 40th Anniversary set - came out when Nomura was managing the Eagles and appeared in very few OB sets. I'm kind of expecting BBM to do a set this celebrating Lotte's 50th Anniversary of buying the Orions so I'm hoping that maybe they'll have a card of him in a Lotte uniform in that set. But at least now I finally have one. 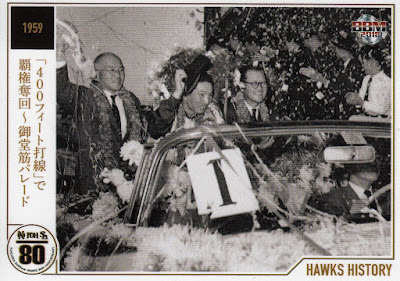 The Hawks are celebrating their 80th Anniversary this year. The team was founded in Osaka in 1938 as Nankai and took on the Hawks moniker in 1947 (with the team known as Kinki Nippon and Kinki Great Ring for a few years during the war and right after). 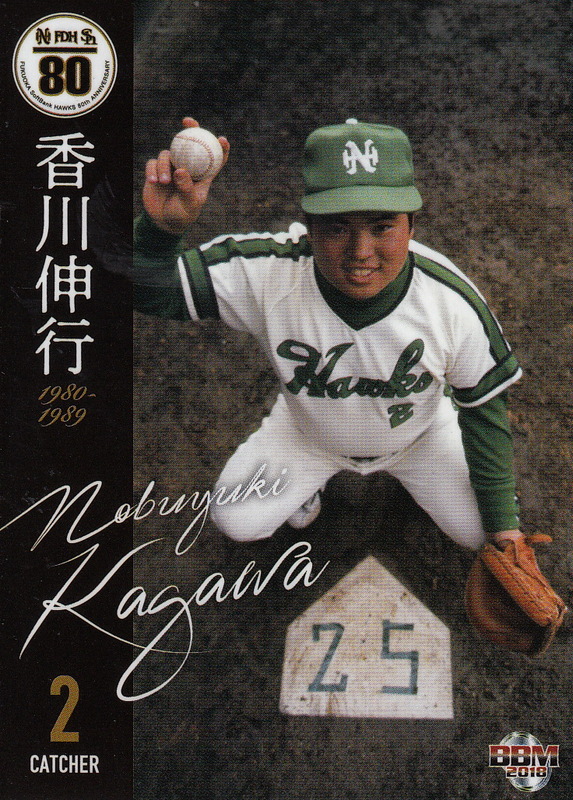 Nankai sold the team to the supermarket chain Daiei in 1988 and the team moved to Kyushu to become the Fukuoka Daiei Hawks. 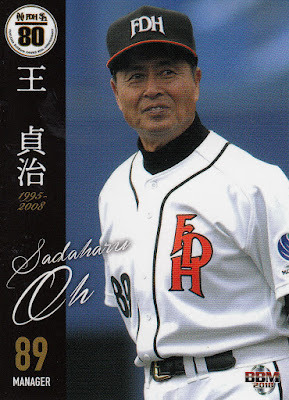 Daiei sold the team in 2005 to Softbank and the team was renamed the Fukuoka Softbank Hawks. This is the third Anniversary set BBM has done for the Hawks - they did a 70th Anniversary set in 2008 and a 75th Anniversary set in 2013 (they also did a set in 2015 celebrating the 10th Anniversary of Softbank buying the team but that only covered the years since 2005 obviously). Those sets had 99 cards each in their base sets but the base set for this set is only 90 cards (which is 9 cards larger than the last couple 80th Anniversary team sets BBM has done - the 2015 Tigers and the 2016 Dragons sets). The 90 cards breaks down to 9 "Hawks History" cards, 48 cards of OB Hawks players and managers (and player-managers) and 33 cards of current Hawks players. The OB player section is a little different from the previous two Hawks Anniversary set. For one thing at 48 cards it's almost 20 cards smaller than the other sets had. 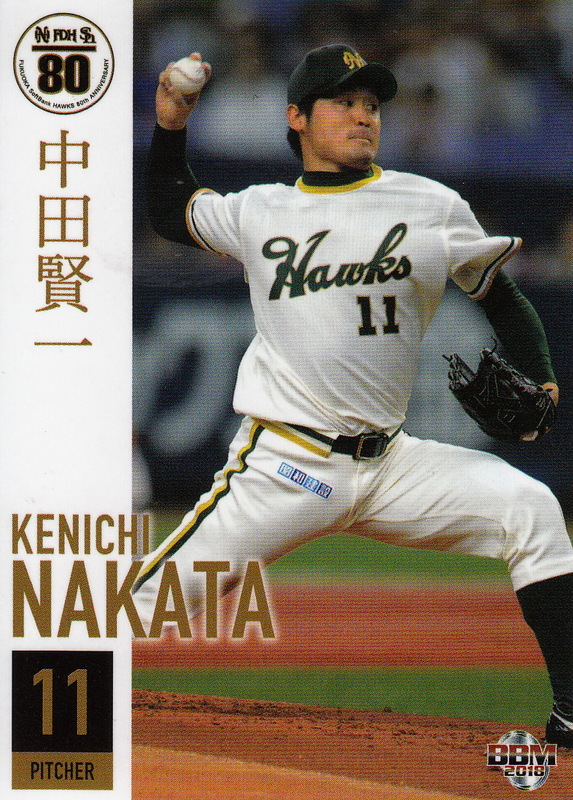 For another all the players in the subset are actually retired, The previous sets included players who were still active but playing for other teams either in NPB or MLB. Off hand the only significant player I can think of who would be excluded because of this is Toshiya Sugiuchi of the Giants. The players who show up in this subset are pretty much everyone you'd expect - Tsuruoka, Sadaharu Oh (as manager of course), Katsuya Nomura, Tadashi Sugiura, Hiromitsu Kadota, Hiroki Kokubo, Tatahito Iguchi, Kenji Johjima, Nobuhiko Matsunaka, Kimiyasu Kudoh, Koji Akiyama and Yoshinori Hirose are all in the set. As is typical for a set like this there are very few players from before 1970. 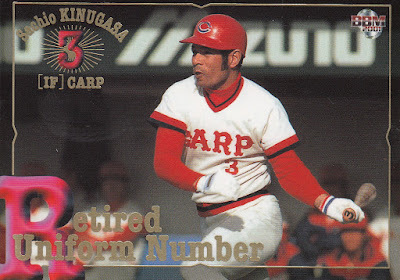 The only gaijin player in the set is Joe Stanka which is a bit odd as the previous sets had included Don Blasingame (who managed the team in the early 1980's), Julio Zuleta, Rod Pedraza, Tony Bernazard and Clarence Jones. Masanori Murakami and Yutaka Enatsu are probably the most significant Japanese players not included in the set after being in the previous sets (although Enatsu was only in the 2008 set and hasn't been in a BBM set since late 2013). One player I just realized is missing not only from this set but the other two is Kent Hadley, who hit 131 home runs for the Hawks between 1962 and 1967. The 33 cards of active (as of 2017) Hawks players is the largest active player subset in any BBM Anniversary set. It includes all the major players for the Hawks (as you would expect from the size) - Yuki Yanagita, Seiichi Uchikawa, Kenta Imamiya, Dennis Sarfate, Munenori Kawasaki, Tsuyoshi Wada, Nobuhiro Matsuda, Alfredo Despaigne and Seiji Uebayashi. Actually the only guy I can think of who I'm surprised is not in the set is Rick Van Den Hurk. What's interesting about this subset is none of the players are wearing Softbank uniforms. With one exception they are wearing "Turn-Back-The-Clock" throwback uniforms from various years. Most of these are from 2013, 2014, 2015 and 2017 although the Daiei Hawks throwbacks are from 2008 (there's a notation on the lower right of the back of each card indicating the month and year that the photo is from). 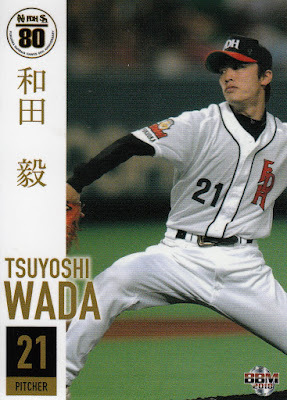 The exception is the card of Wada which is from 2003 when the Hawks actually wore those uniforms. I really like this set a lot. It's very attractive and while it's probably missing enough significant players to not truly be a comprehensive history of the Hawks, it complements the other two sets pretty well without being redundant (which is how I felt towards the 80th Anniversary sets for the Tigers and Dragons). It's easily the most attractive Anniversary set BBM has done since the 2014 Giants 80th Anniversary set and one of the best they've ever done. Ryan did a post about this set yesterday. You can see all the cards (including the insert sets) over at Jambalaya. Calbee's first set for the year, Series One, was released about a month ago. Well I say their first set but it's really just the first part of their set this year. Assuming no typhoon-induced potato shortages in Japan this year, this is just the first third of Calbee's 2018 set. Series Two should be out in June and Series Three is expected to be released in September. Calbee's sets are pretty consistent from year to year and there's not a whole lot of surprises this year. The biggest change this year is that the text on the front of the card is in Japanese rather than English. This is only the second time since 1989 that there's no English on the regular cards - the 2016 cards also had no English text. The other "surprise" this year is that the subset/non-premium insert set with Series One is not the "Title Holders" subset that it's been the past two years, instead it's a 12 subset featuring the first round picks from last fall's draft. More about that in a minute. 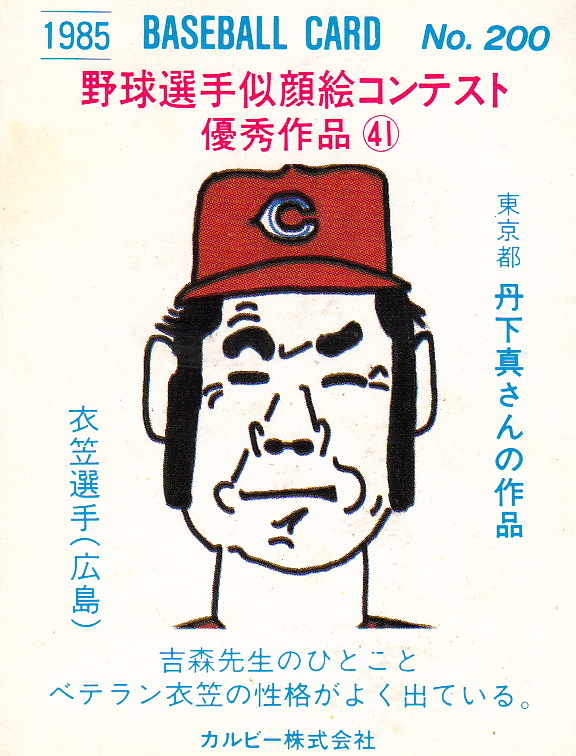 In addition to the 72 "regular" player cards there are two subsets - the afore-mentioned 12 card 1st Round Draft pick subset (called "Dora-Ichi) and four checklist cards. The "Dora-Ichi" cards are just what you'd expect - a card for each team's 1st round draft pick. The biggest names so far from the subset are Kotaro Kiyomiya of the Fighters and ShoheiShosei Nakamura of the Carp. Each of the four checklist cards feature scenes from late last season - the Hawks celebrating their Nippon Series championship on November 4th, the Carp celebrating clinching the Central League pennant on September 18th, the Lions 13 game winning streak last August and Takeshi Toritani getting his 2000th hit on September 8th. Not sure why Toritani is on a checklist card while Abe, Araki and Matsuda got player cards but that's what they did. All 86 cards of the base set can be seen over at Jambalaya along with the insert cards (3 "Legend" and 24 "Star" cards) and the "Special Limited Edition" box set that I think it available via a mail-in redemption of "Lucky Cards". Sean's done some posts about the set as well. 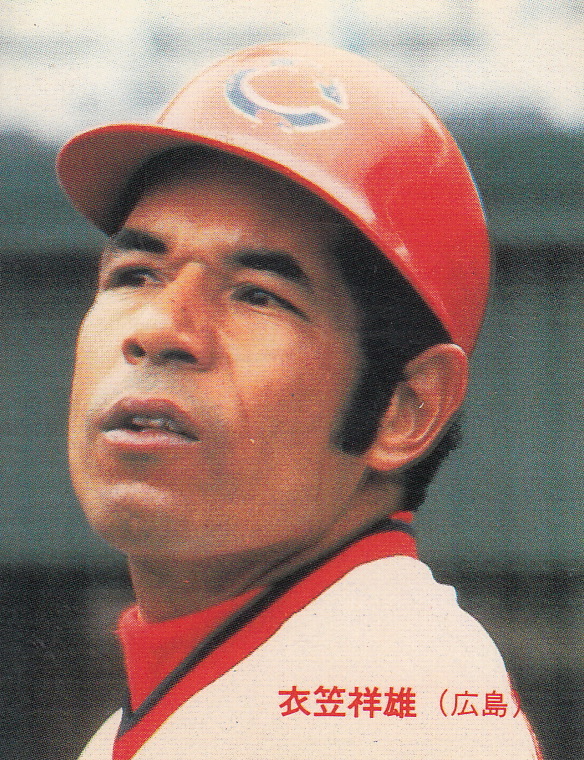 Hall Of Famer Sachio Kinugasa has passed away from colon cancer at age 71. 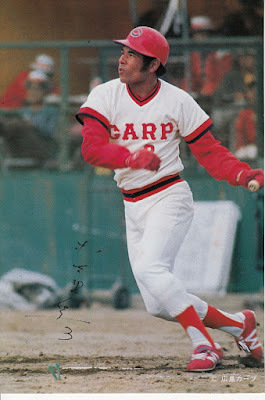 Kinugasa played for the Hiroshima Toyo Carp for 23 seasons between 1965 and 1987. He is best known for breaking Lou Gehrig's consecutive games played streak but he also hit over 500 home runs in his career. His Baseball-Reference Bullpen biography goes into a lot of detail about his career so I won't repeat it here. 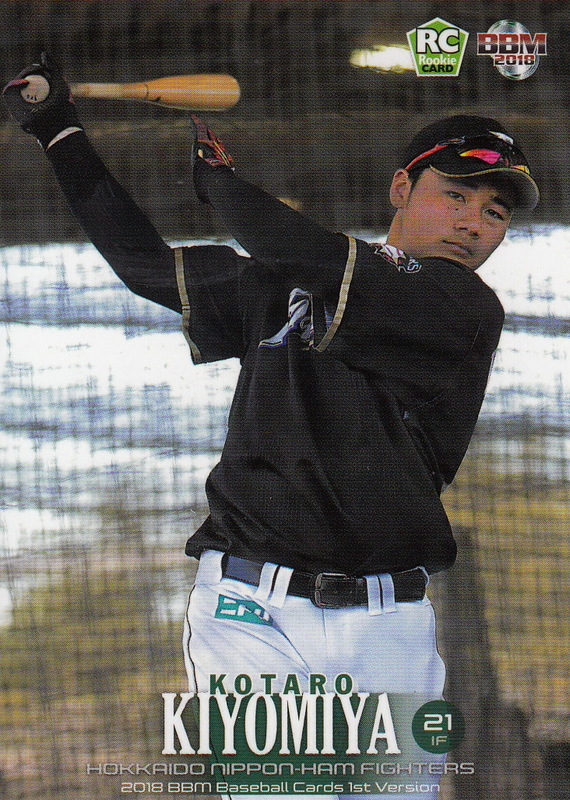 Kotaro Kiyomiya, the Fighters 1st round pick in last fall's draft has been having a slow start to his professional career. He came into last Friday's ni-gun Fighters game batting just .111 in his first 7 games. 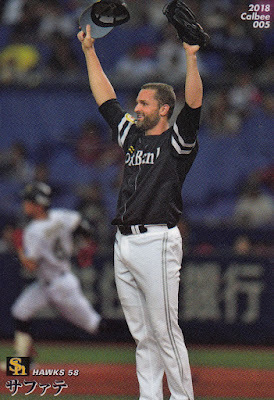 On Friday however he hit his first two professional home runs (both three run jacks off of Yuji Nishino of the Marines) and followed that up today with a solo home run off of Lotte's Kazunari Abe. He's raised his average up to .219 with his big weekend. I wanted to do a quick round up of some newly announced and newly released sets. - BBM doesn't have anything about it on their website yet but they will be releasing their annual pack-based Lions team set on May 29. As has been standard for the past couple years the base set will have 81 cards which include 68 "regular" player cards, 6 "Catch The Moment" cards, 3 "Accelerator" cards and 4 "Reign Men" cards. There are 30 insert cards split between "Sparkling" (3 cards), "Rocket Arms" (3 cards), "Big Bangs" (3 cards), "Pride Of Lions" (9 cards) and the ubiquitous "Phantom" (12 cards). There will also be randomly inserted autograph cards. - Hits has announced a new "Mini Color Paper" set. 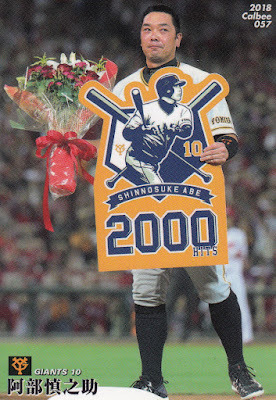 Instead of a team this time the set is to commemorate Yasuaki Yamasaki's 100th career save. There are 16 possible "cards" - 8 normal ones and 8 "gilded print signed special" ones. The set will be released May 25th. 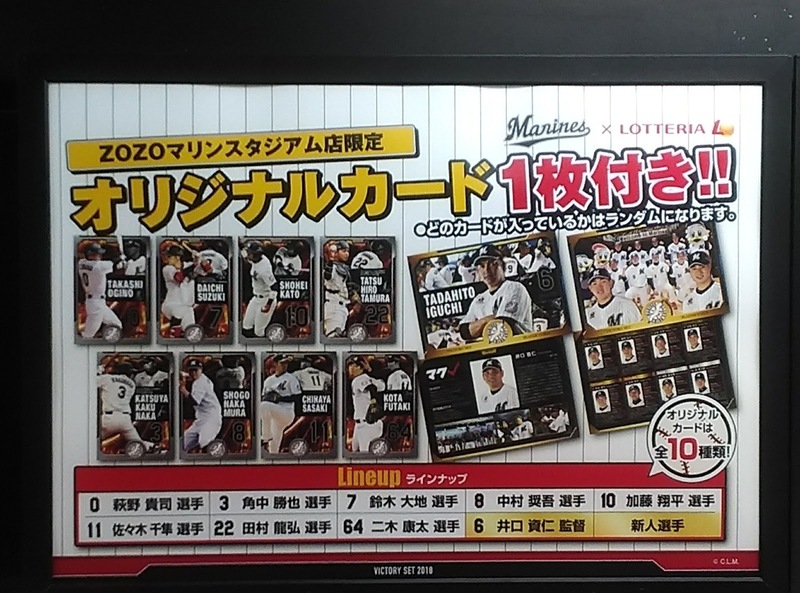 - The Tohoku Rakuten Golden Eagles have released their annual team set. This is available in boxes of 20 packs of six cards. 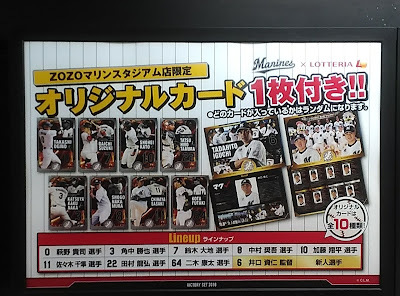 The base set contains 98 cards - 81 "regular" player cards (including 14 ikusei players), 10 "New Uniform" cards, and single cards commemorating the Eagles rookie class, Takahiro Norimoto's 8 straight 10+ strikeout games last year, Ryo Hijirasawa's 1000th game played, Koji Aoyama's 500th pitching appearance, Ginji Akaminai's Golden Glove award and Ginji and Zelous Wheeler's Best 9 Awards. There are also 10 "Tohoku Pride" insert cards (which I think are die-cut), two possible jersey/patch memorabilia cards and 40 possible autographed cards. Jambalaya has all the cards online here. - For the third year in a row Nippon-Ham is releasing a Fighters' team set with their "Home Run Sausage" product. The checklist for their first series is on-line - there's 74 cards that includes a card for manager Hideki Kuriyama, four cards for their mascots and 69 cards for the Fighters' players. - After SMG lost their KBO license early last year there have been no KBO cards beyond a couple team issued sets. That will change later this week when a new company, SCC, releases their first set. It will be available in boxes of 20 packs of 7 cards. The base set will have 224 cards. In addition there will be 50 "rare" cards, 22 "rookie" cards, 10 Jersey cards, 50 "limited" cards, and 63 autographed cards. George broke the news on this and has all the details here. The boxes are retailing for 60,000 won (~$56) but can be found on-line for a little less than that (54,000 won or ~$51). I wanted to do a quick post about the "Rookies And Stars" team sets that Epoch is publishing this year. I don't know for sure if they are planning these sets for all 12 teams but they have already released sets for two teams (the Carp and the Lions) and have announced three others (the Buffaloes, the Dragons and the Swallows). From the size of the base sets (90 cards) for these sets I suspected that Epoch was doing a "comprehensive" team set for each team - by that I mean that there would be a card for every player on the team's 70 man roster plus the manager. BBM's annual pack based team sets are "comprehensive" team sets (as opposed to their smaller team box sets). Epoch's team sets from last year were also not comprehensive. I was curious about something with the sets though - since typically the 70 man roster for each team doesn't actually have 70 players on it, how were they getting a base set of 90 cards out of it? BBM for the last 4 years has done their team sets with 81 card base sets - 70-ish cards for the players and manager and 11-ish cards for the mascots and various subsets. There was no indication on the pre-sell information on Epoch's sets that explained how the sets would be made up (or at least nothing that I understood). So I was going to have to wait until the sets got released. The Carp set got released the weekend of April 7th and Jambalaya had the cards on-line as usual. And I had my answer - the set only features 69 individuals - 67 players plus manager Koichi Ogata and the mascot. The set is numbered 1-69. 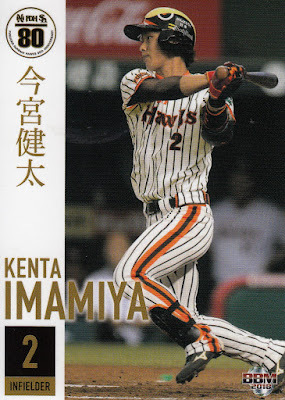 However there are 15 players who have multiple cards in the set - 9 "Stars" (Daichi Ohsera, Kris Johnson, Shogo Sakakura, Kosuke Tanaka, Takahiro Arai, Ryosuke Kikuchi, Ryoma Nishikawa, Yoshiharu Maru and Seiya Suzuki) who each have two cards and six "Rookies" (2017 draftees Makoto Kenma, Sho Yamaguchi, Atsushi Endoh, Takato Hiraoka, Shosei Nakamura and Atsushi Nagai) who each have three cards in the set. As far as I can tell, none of the multiple cards are short printed "variants" like Epoch did last year. Each card for a player has the same number along with the letter "a", "b" or "c" - so Shosei Nakamura's three cards are numbered 36a, 36b and 36c. 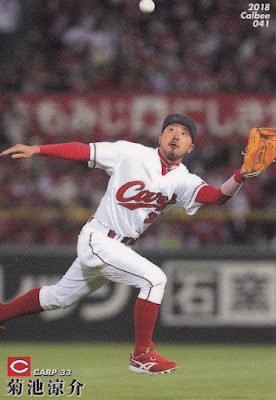 The Carp currently have six players on their ikusei squad (including three players taken in that portion of last fall's draft) that I wondered if Epoch would include in the set (BBM regularly included ikusei players in their team sets until 2015) but they did not. Epoch released the Lions set last weekend and it's very similar to the Carp set. The set also only features 69 individuals - 67 players plus manager Hatsuhiko Tsuji and farm team manager Tetsuya Shiozaki. Once again the set is numbered 1-69 and there are 21 players with multiple cards. There are four big differences between this set and the Carp set. Number 1 - each of the 21 players who have multiple cards only have 2 cards each (which you could have probably figured out from the math - 90 minus 69 equals 21). 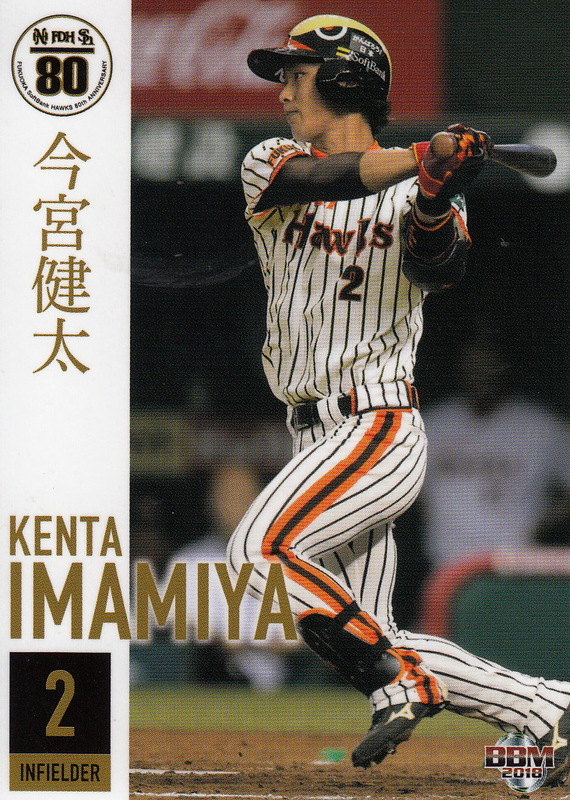 Number 2 - only the top three 2017 draft picks (Hiromasa Saito, Manaya Nishikawa and Sho Itoh) have multiple cards - the remaining ones have only one card each. 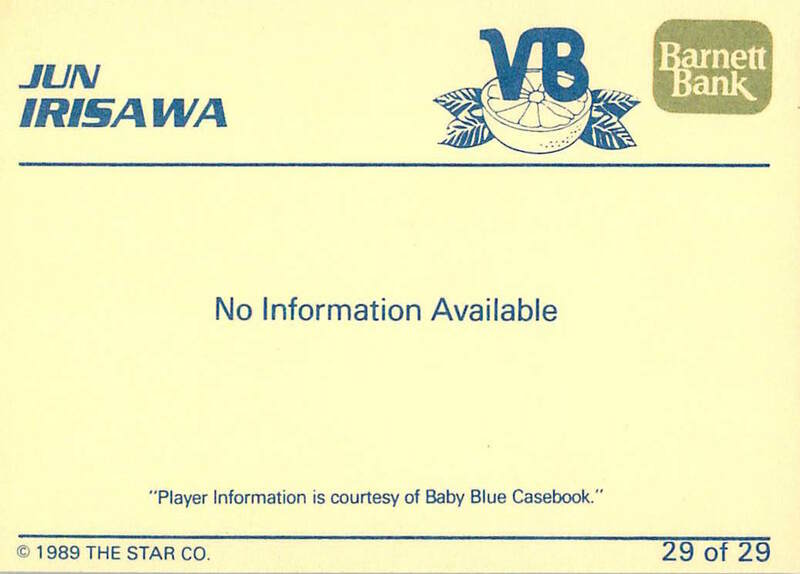 The other 18 players with multiple cards are all "Stars" - Neil Wagner,Yusei Kikuchi, Hayato Takagi, Fabio Castillo, Brian Wolfe, Tomoya Mori, Ginjiro Sumitani, Hideto Asamura, Shuta Tonosaki, Sosuke Genda, Hotaka Yamakawa, Takeya Nakamura, Ernesto Mejia, Takumi Kuriyama, Kazuo Matsui, Yuji Kaneko, Fumikazu Kimura and Shogo Akiyama. Number 3 - there's no card for the Lions mascot(s). 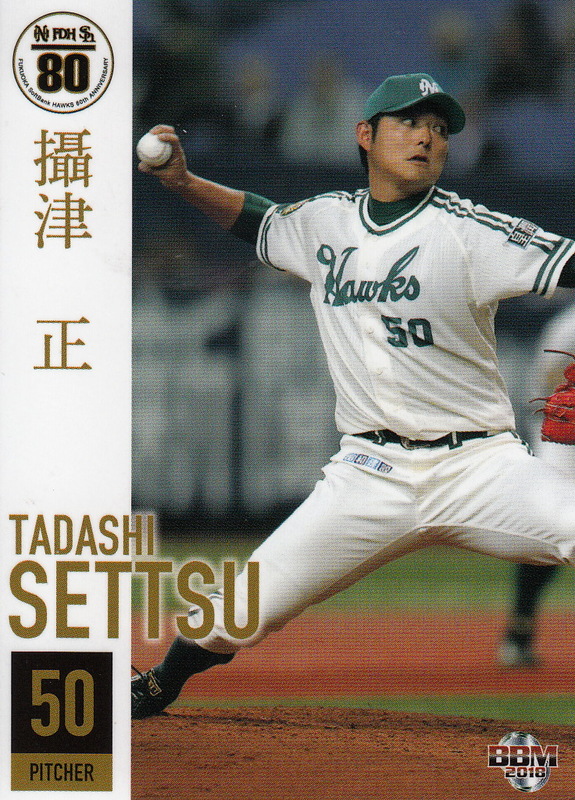 Number 4 - there are cards for the two Lions ikusei players - Masato Saito and Wataru Takagi. 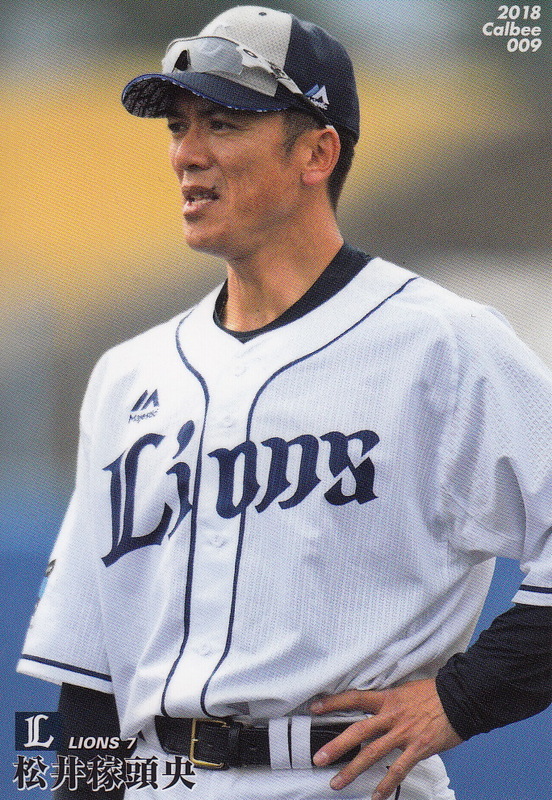 Interestingly the Lions had made a trade during spring training where they sent Yosuke Okamoto to the Hanshin Tigers for Daiki Enokida. Neither Okamoto or Enokida appear in this set so I'm betting the set went to press right around the time of the trade - Epoch had enough time to remove Okamoto (and replace his card in the set so they still had 90 cards) but not enough time to get a card done of Enokida. Epcoh assigned the card numbers in the sets in the same style that BBM uses - first the manager, next coaches (if any) in order by uniform number, then pitchers by uniform number, catchers by uniform number, infielders by uniform number and finally outfielders by uniform number. What this means is that it's likely that some teams will have identical checklists between the Epoch and BBM team sets. The fact that the "Rookies And Stars" team sets look like they do further confirms to me that Epoch is really challenging BBM's place at the top of the Japanese baseball card market. It will be interesting to see how this plays out the rest of the year. Will Epoch possibly bring back the All Star or Nippon Series box sets? Will they release a draft pick set to rival BBM's Rookie Edition? Maybe one with something other than the standard "guts' poses for all the draftees? I think it will be fun to see how this all plays out. 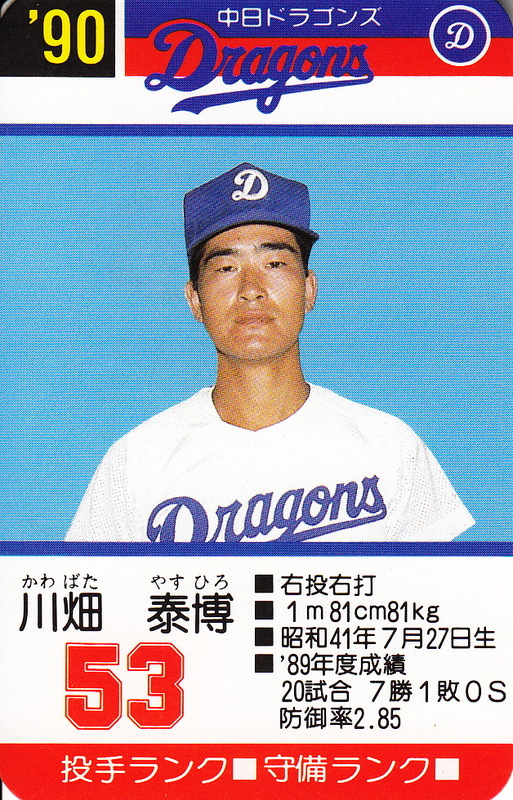 The Chunichi Dragons made some big changes during the offseason between the 1986 and 1987 seasons. 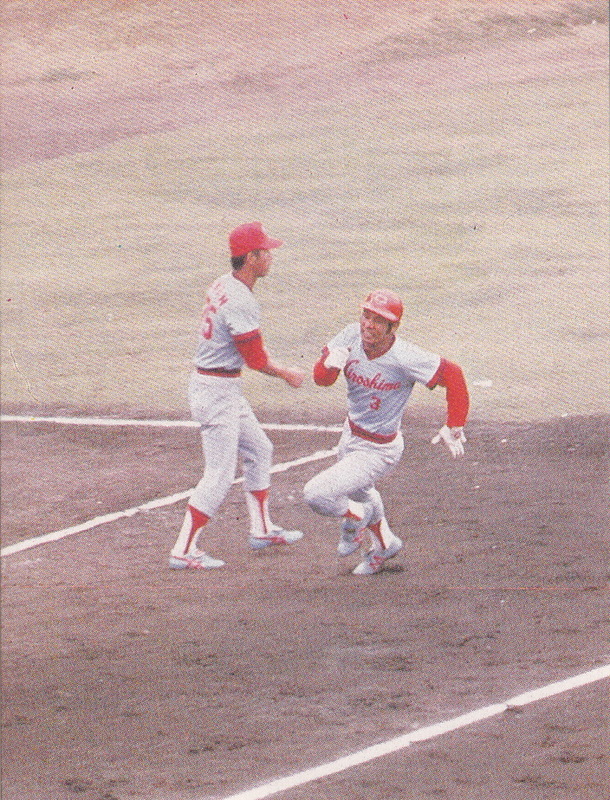 The Dragons had won the Central League pennant in 1982 but had finished fifth three times in the following four seasons. 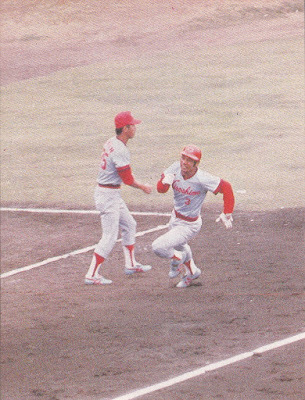 Kazuhiro Yamauchi, their manager at the beginning of 1986, was forced to resign during the season due to health issues and Morimichi Takagi ran the team the second half of the season (the first of three separate times he was Dragons manager). 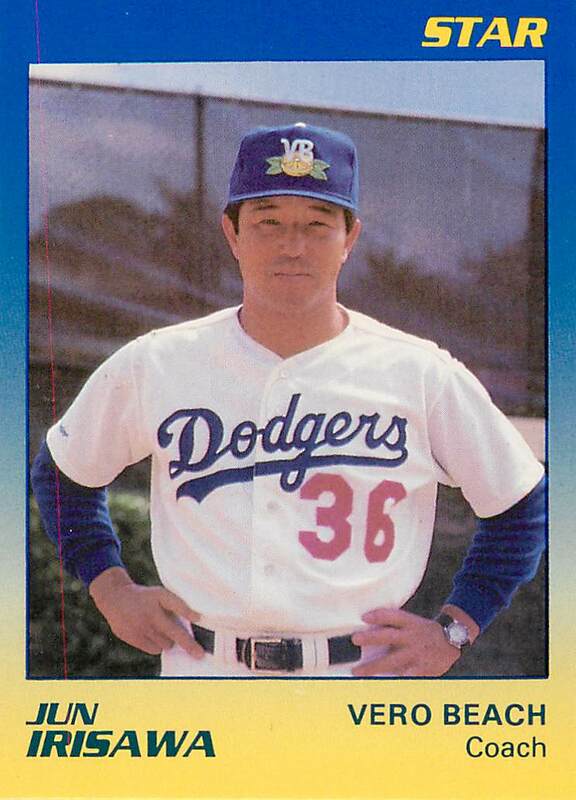 For 1987 the team decided to go in a different direction and instead of letting Takagi continue with the team, they brought in former Dragons pitcher Senichi Hoshino as manager. 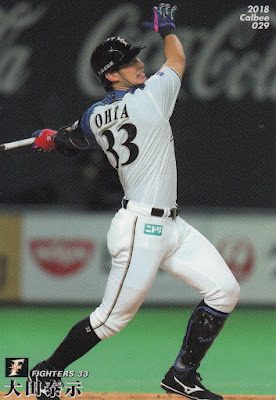 Their other big personnel move of the offseason was the trade with Lotte that brought 1986 Triple Crown winner Hiromitsu Ochiai to the team (at the cost of four players). But their other move of the offseason was to form a partnership with the Los Angeles Dodgers. This was a bit of a coup as the Dodgers had for years been associated with the Yomiuri Giants with the Giants having done spring training with the team in Vero Beach, Florida five times between 1961 and 1981. I'm not sure what all the parameters of the partnership with the Dodgers was or how long it lasted but it manifested itself in three obvious ways. The first is that the Dragons uniforms closely resembled those of the Dodgers for the next 17 years (really until Ochiai became manager in 2004). The second is that the Dragons did spring training with the Dodgers in Vero Beach in the spring of 1988. The third is that 10 players from the Dragons played in the Dodgers organization between 1987 and 1989. 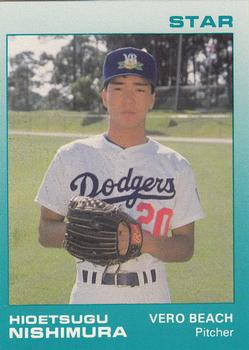 The first two players Chunichi sent to America were teenagers Tetsuo Arakawa and Takeshi Yamasaki who were assigned to the Dodgers team in the Gulf Coast League. Neither one played a whole lot - Yamasaki got into 10 games (5 in the field at first base) and went 0-10 with 3 walks and 4 strikouts. Arakawa got into only four games (three in the field at shortstop) and went 0-3, striking out in all three at bats. 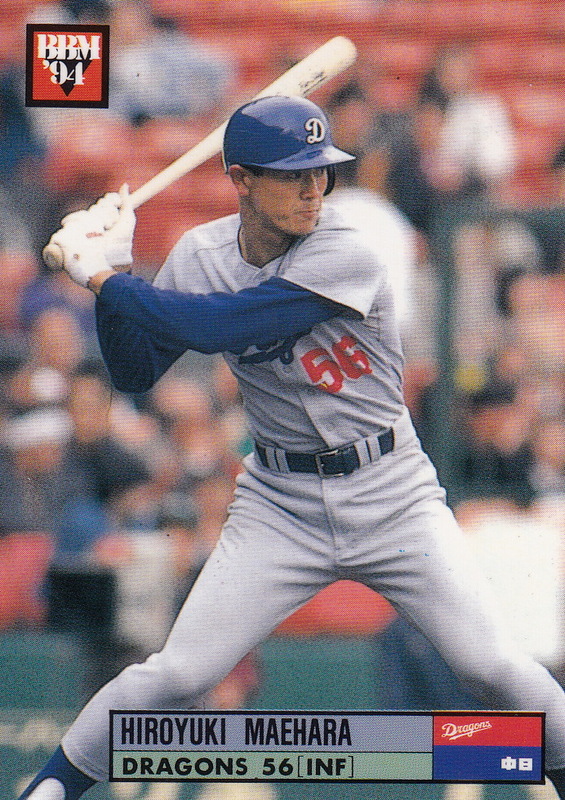 The Dragons sent five players to the Dodgers organization in 1988. Again two players were sent to the Dodgers' entry in the Gulf Coast League - outfielders Kazuyoshi Kohyama and Yasuharu Fujio - but this time they got more of an opportunity to play and made the most of it. Kohyama (whose NPB stats are listed separately at Baseball-Reference under Kazuyoshi Koyama) hit .311 in 61 games. Fujio only got into 16 games in the GCL but his .375 average with one home run earned him a mid-season promotion to the Dodgers' Short Season Low A Northwest League team in Salem, Oregon where he hit .200 in 19 games. Fujio joined third baseman Hiroyuki Maehara (who's name is mispelled "Maebara" in Baseball-Reference) in Salem, who hit .196 in 54 games. Maehara also pitched in one game, giving up two hits in two innings while striking out two. The best performances by Dragons players in the US that year however were in Vero Beach of the Florida State League where two pitchers - Masahiro Yamamoto and Hidetsugu Nishimura - put up impressive numbers as members of the team's rotation most of the season. 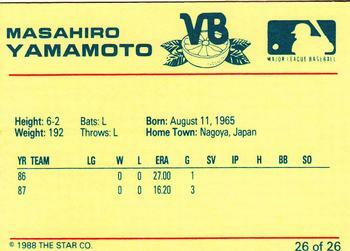 Yamamoto went 13-7 with a 2.00 ERA and 105 strikeouts in 148 2/3 innings. He had six complete games and three shutouts. He was named to East team for the mid-season Florida State League All Star game as well as the post-season league-wide All Star team. 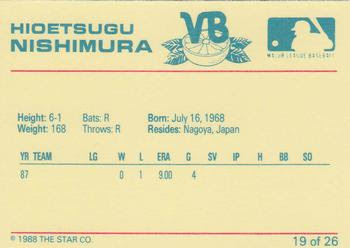 Nishimura went 11-3 with a 3.34 ERA and 124 strikeouts in 148 1/3 innings. He had three complete games and two shutouts. 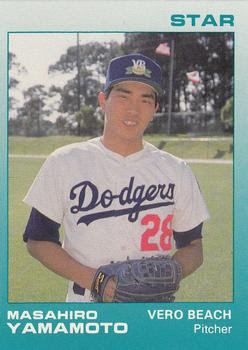 Chunichi dispatched three pitchers to North America for 1989. 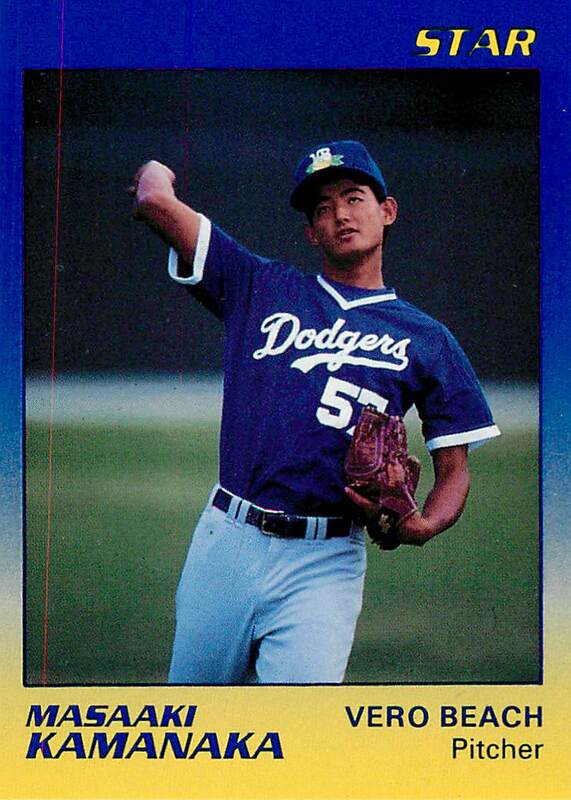 One of them, Koji Takaheshi, started the season with the GCL Dodgers (going 1-0 with a save in three appearances with 11 strikeouts in 12 1/3 innings and a perfect 0.00 ERA) before he was promoted to Vero Beach where he didn't perform quite as well (0-4 with an ERA of 5.18). 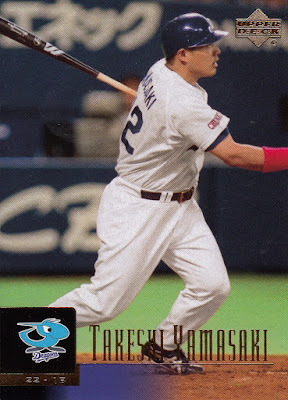 He joined fellow Chunichi players Masaaki Kamanaka and Yasuhiro Kawabata in Florida. 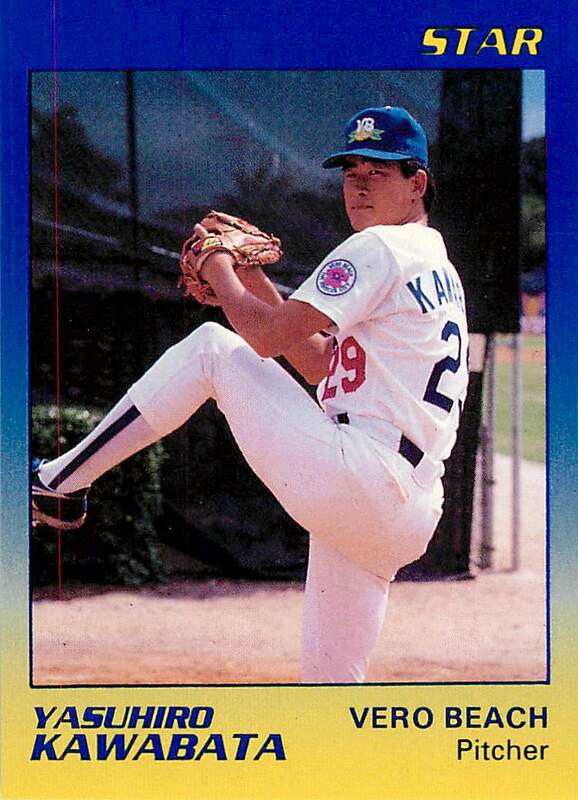 Kamanaka went 3-3 with 3 saves in 33 games mostly in relief. He had an ERA of 3.91 and 52 strikeouts in 92 1/3 innings. Kawabata went 5-3 with a 3.00 ERA in 11 games as a starter. He threw one complete game (a shutout) and struck out 47 in 69 innings. Masahiro Yamamoto and Takeshi Yamasaki were the most successful of the players the Dragons sent to the Dodgers organization. 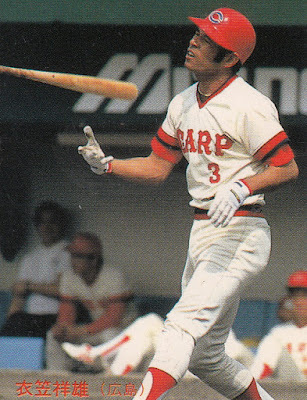 Yamamoto played with the ichi-gun Dragons in parts of 29 seasons between 1986 and 2015. I did a summary of his career when he retired a few years ago so won't go into a whole lot of detail. 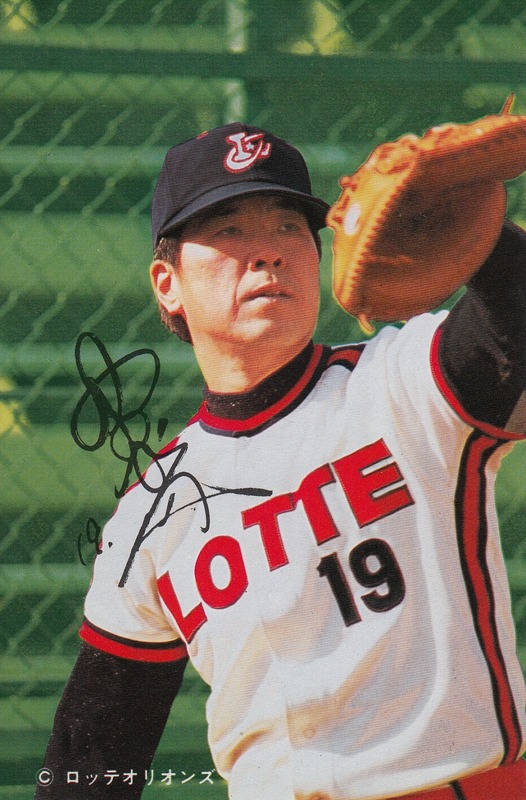 He did return to Chunichi from Vero Beach in 1988 and went into the Dragons rotation for September where he went 5-0 helping the Dragons win the Central League pennant. 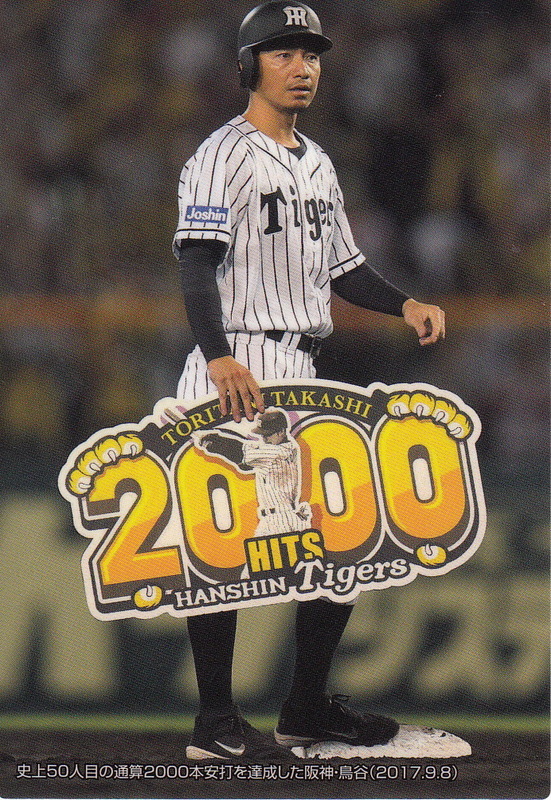 He also started (and lost) Game Three of the Nippon Series that year. 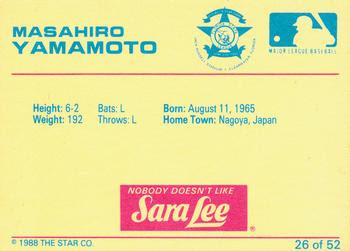 There are many Japanese baseball cards of Yamamoto available. 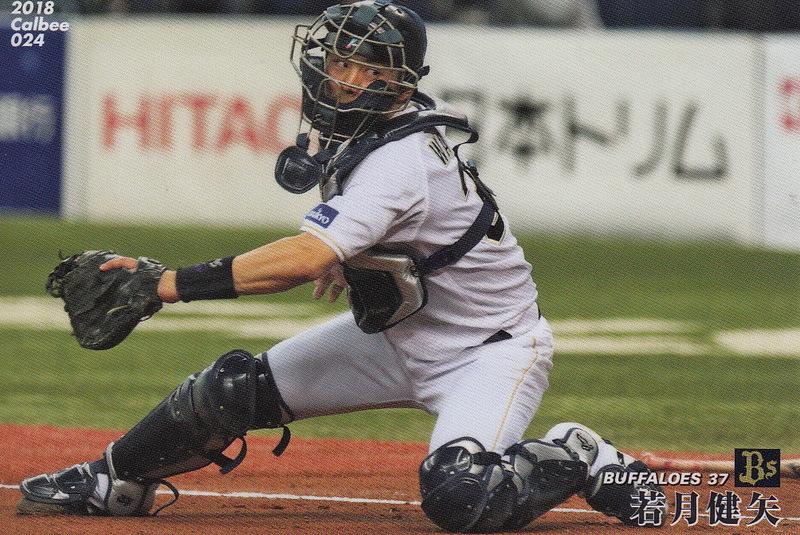 Yamasaki spent parts of 25 years with the top level teams in NPB. 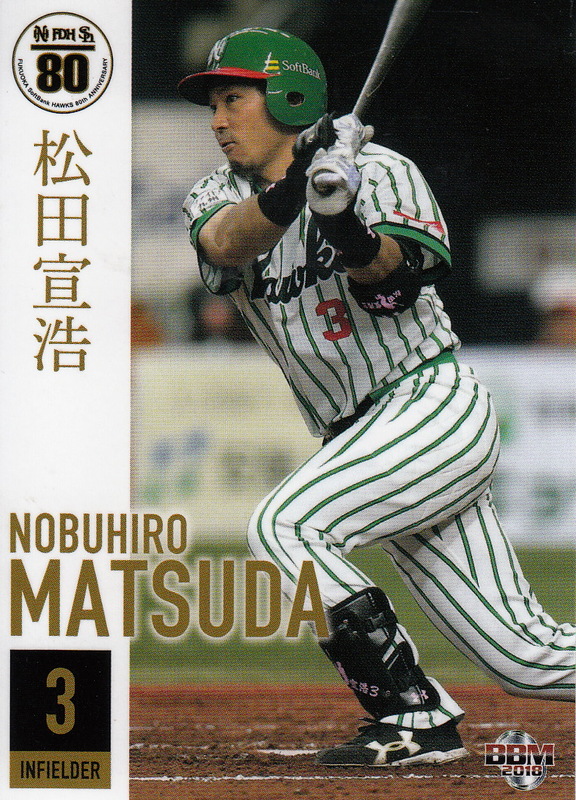 He was with the Dragons until they traded him to Orix after the 2002 season. After two years in Kobe he moved north to Sendai and spent the next seven seasons with the Eagles. He came back to the Dragons for the final two years of his career in 2012-13. Like Yamamoto I wrote a summary of his career when he retired and like Yamamoto there are quite a few Japanese baseball cards of Yamasaki out there. Hiroyuki Maehara had the longest career of the remaining players. 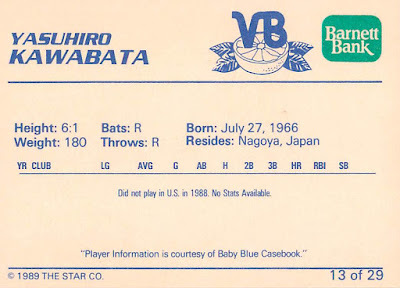 He made the All Star team in 1992 and was traded to the Lions in 1996 along with Masaji Shimizu for Katsuyoshi Murata and Kazuaki Yamano (who had played in the US with San Jose in 1986-87). He was player/coach for two years with an industrial league team (Showa Concrete) after the Lions released him and later coached for the Mie Three Arrows indy league team and the Dragons. 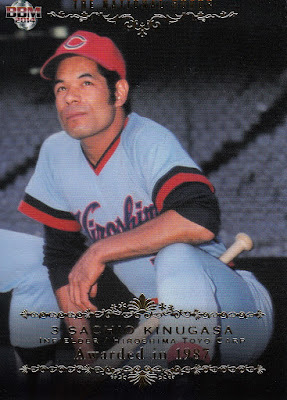 He had a handful of Japanese baseball cards (although oddly enough he did not make the 1992 BBM All Stars set). 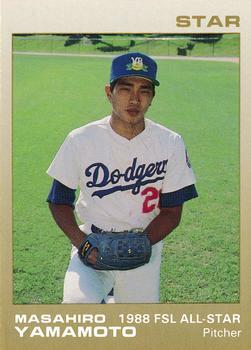 Kazuyoshi Koyama played in the Dragons organization until 1997 but he spent most of his time with the farm team. The only year he had more than 100 at bats with the ichi-gun team was 1990. He has only two Japanese cards I'm aware of - both from 1991. 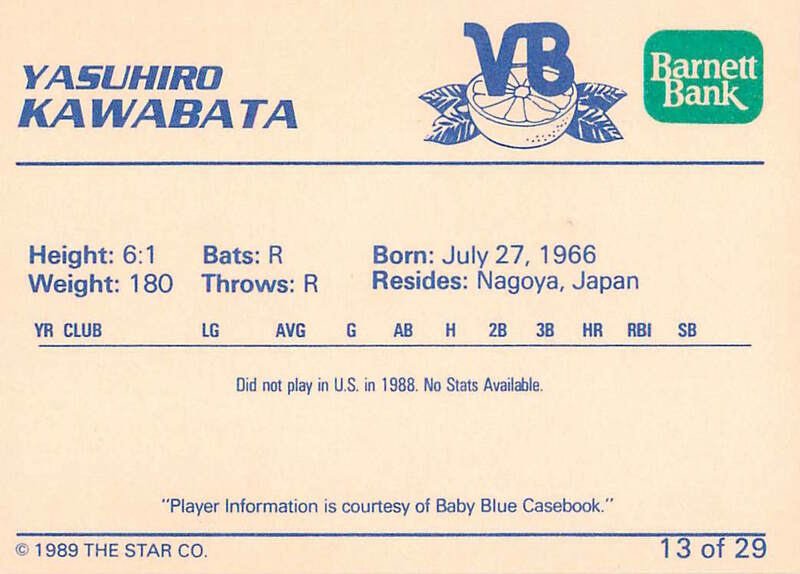 Yasuhiro Kawabata had spent parts of three seasons with the top team before going to Vero Beach in 1989. He returned to the Dragons that season in time to get in 20 games with them, going 7-1. He was traded to Orix for Toyozo Minamimure early in the 1991 season. He spent a couple of years in their bullpen but only played for the farm team in his last couple seasons - including a final season when he returned to the Dragons. He apparently is currently an official scorer for the Buffaloes. 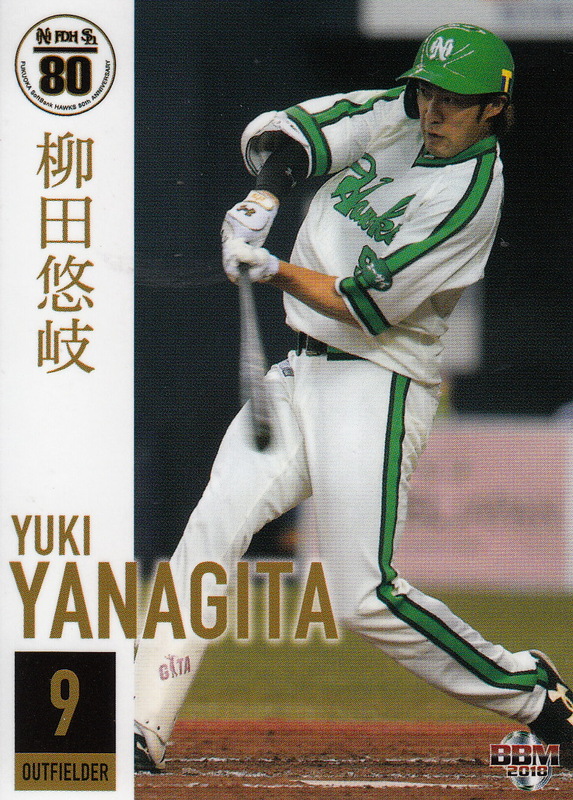 There are a handful of Japanese baseball cards of him. 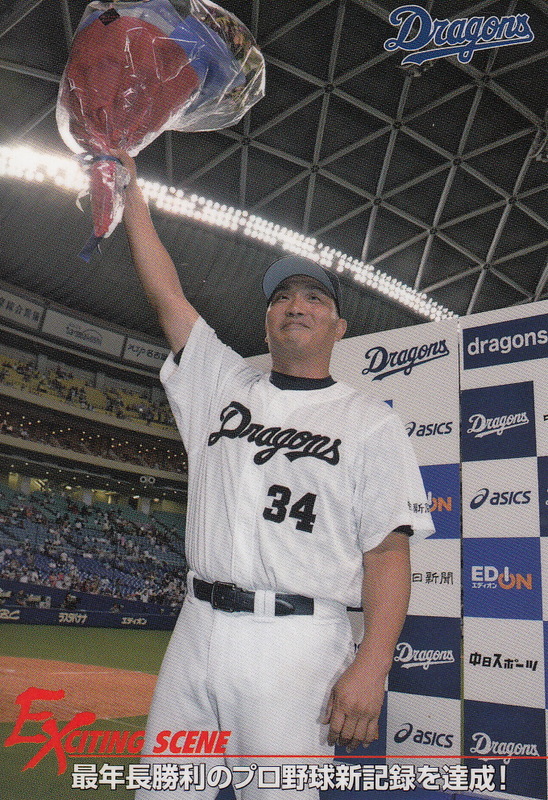 Yasuharu Fujio was the first pick of the Dragons in the fall 1983 draft out of Kyoei High School in Nagoya. It was hoped that he would become a power hitting third baseman for his hometown team but he never really developed into this role. Following the 1989 season Chunichi traded him and Yoshihisa Komatsuzaki to the Nippon Ham Fighters for "the other' Yukio Tanaka (the pitcher obviously) and Kazuo Hayakawa. He spent three years with the Fighters but his numbers never really improved and he retired following the 1992 season. He has a number of Japanese baseball cards but I don't have any of them. There are no Japanese baseball cards of the remaining four players that I am aware of. Despite putting up good numbers in Vero Beach in 1988, Hidetsugu Nishimura didn't have a lot of success in NPB. He had gone 0-1 with an ERA of 9.00 in four games with the Dragons in 1987. 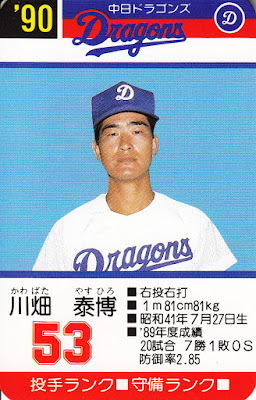 In mid-1989 the Dragons capitalized on his success in Florida by packaging him with Koichi Emoto in a trade to the Fukuoka Daiei Hawks for Takayuki Shirai and Hiromichi Nakamura (Emoto would be sent by Daiei to Salinas in the California League in 1990). 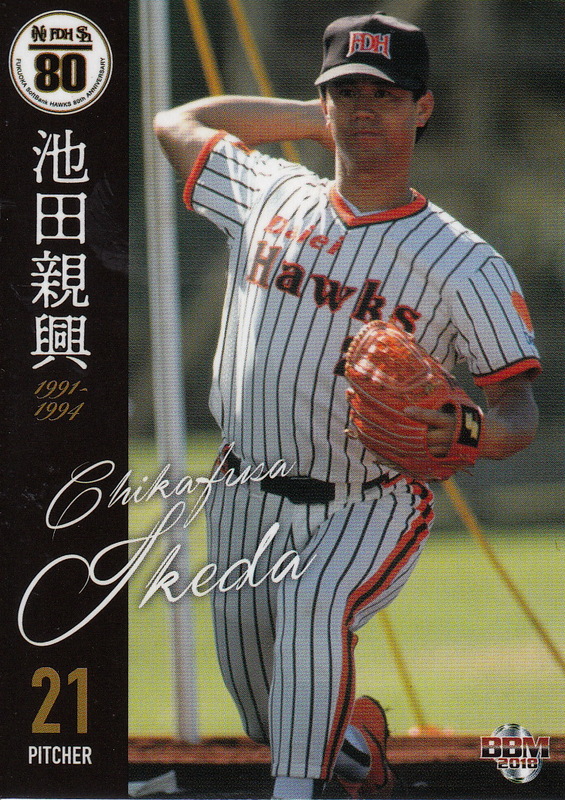 He went 0-1 in 16 games with the ichi-gun Hawks over the next three and a half years and retired following the 1992 season. Masaaki Kamanaka's Dragons career lasted until 1995 but he spent almost the entire time with the farm team - he made two appearances with the top team in 1992 where he gave up 3 hits (including two home runs) and three runs in two innings. He spent 1996 with the Kintetsu Buffaloes' farm team before retiring. 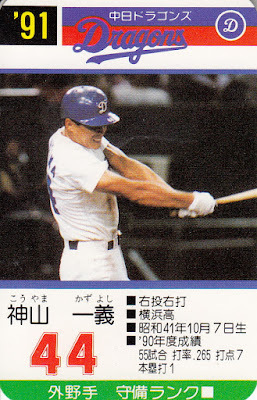 Koji Takaheshi only played in six games with the ichi-gun Dragons (in 1990) while Tetsuo Arakawa never made it off the farm team. 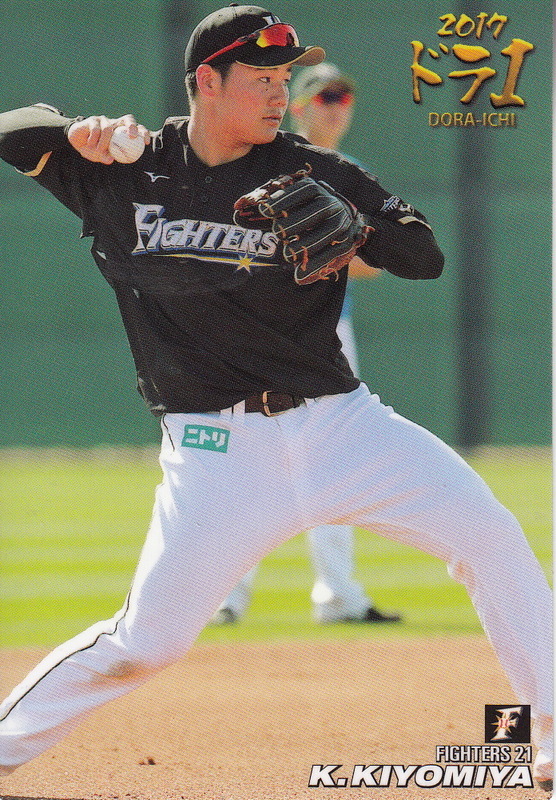 Kamanaka and Nishimura both have American minor league baseball cards but do not have Japanese cards. These are the earliest cards for both Yamamoto and Kawabata. 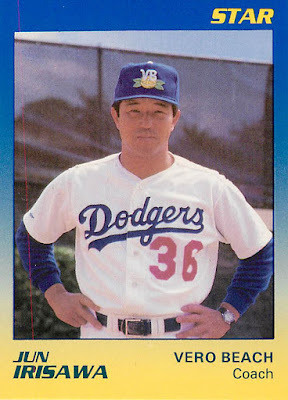 In addition Chunichi apparently sent a coach to at least Vero Beach in at least the 1989 season. The 1989 team set included a card of Jun Irisawa who I have not been able to identify at all.